I read this article and found it very interesting, thought it might be something for you. 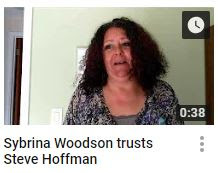 The article is called “Power to the people”: more support rolls in and is located at https://votesocialism.com/power-to-the-people-more-support-rolls-in/. Comments and endorsements like these have inspired us all week. Read on for the latest. – “Power to the people” – Facebook, twice! 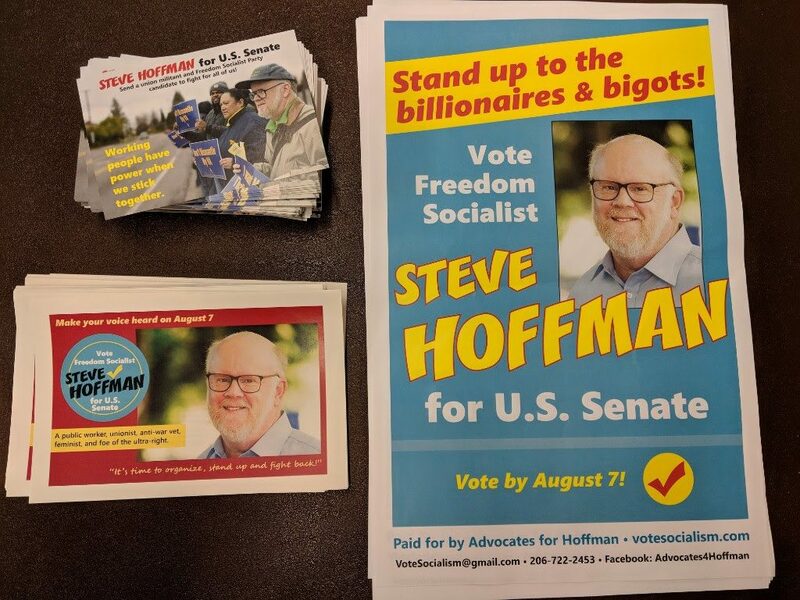 • Seattle Gay News published a wonderful letter defending Hoffman and the Freedom Socialist Party’s record of fighting for and winning queer rights. Volunteer Coordinator Chris Smith wrote the letter after the Seattle Metropolitan Elections Committee (SeaMEC) gave Steve a low rating in their candidate guide. SGN published the guide so the campaign is happy they also published our response. Read the letter here. • Northwest Labor Press also published a “Union Guide to Washington’s August Primary” without mentioning Steve. Luckily they are accepting comments on the piece and have added mine which promotes Steve as the best choice for U.S. Senate. Check it out at the bottom on the article on this website. Feel free to add your comment too! • Wednesday, August 1st is Volunteer Appreciation Night, an extra special Volunteer Night. We will go out and campaign, then come back to Headquarters and toast volunteers with treats and drinks. • Join Steve on the Farm Worker March for Dignity, Sunday, August 5th, in Lynden WA. Call or email the campaign office to meet up with him, spread the word about Steve’s campaign, and support farm workers. • On Tuesday, August 7th, come to the Election Night Party! Hear Steve recount tales from the trail, enjoy a Summer Salad Buffet and celebrate Steve’s successful working-class run for Senate. Gather at 6:30pm, Campaign Headquarters, 5018 Rainier Ave., S., Seattle. Here’s the top three things you can do to help the campaign as we head into the final week before the primary. 1. Distribute postcards and brochures. 3. Like and share on Facebook; retweet on Twitter; post on Instagram. Contact the campaign at 206-722-2453 or VoteSocialism@gmail to help with any of these things. To keep postcards, posters and postings on social media coming, keep those donations rolling in!